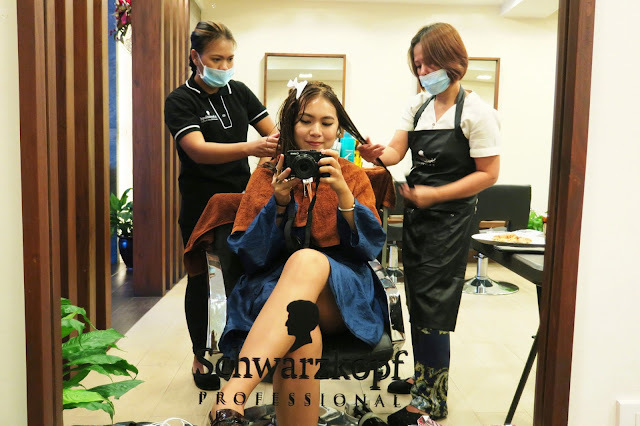 Last December, Cedar Salon was kind enough to retouch my roots as well as let me try an amazing deep-conditioning hair treatment called Linkage Meu which is what this blog post will be all about. 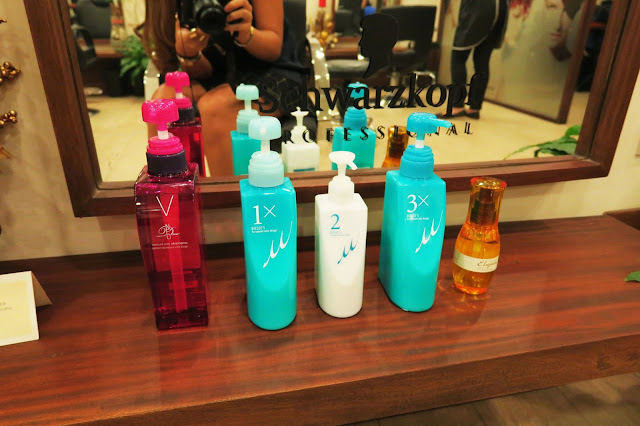 This special three-step treatment was created by Japanese brand Milbon and smoothens and softens hair. Aside from being a three-step treatment, what was different about this treatment is that it is also reinforced by home care vials that allow you to sustain the treatment’s effects on your hair. This treatment was perfect for my long hair especially since I have a hard time managing my hair sometimes. But as you probably already know by now, I HATE HAIRCUTS! HAHAHA. So this was my hair before the treatment. As you can see it was pretty dry, frizzy, and bordering mermaid length. And here are the Linkage Meu products! There's amino oil to smoothen the hair's surface, a veil that seals in moisture, and lastly a smoothening collagen top coat. Each step has a distinct scent note, making the treatment even more relaxing. Here I am enjoying my treatment. Cedar salon has great zen-inspired interiors, and they even gave me my own robe to wear as I had my treatment done. The treatment surprisingly doesn't take much longer than usual salon treatments or hot oils. They were done with all three steps in about an hour. Every member of the staff was also really nice and accommodating, even if I could feel how tired their arms were getting from my super long and thick hair hehe. And for the moment of truth: here is what my hair looked like once the treatment was rinsed off and my hair was blow dried. It was insanely smooth and my hair smelled amazing! They also did a great job with my roots. I would definitely say there's a difference in comparison to the usual salon treatments I get. The way my hair moved around was just much nicer in general. The treatment also brought out the color in my hair more. I would really recommend this treatment especially if you wanna bring life back into your dry and frizzy hair! My hair definitely stayed more smooth and manageable for the next week or so, even after I washed it already. 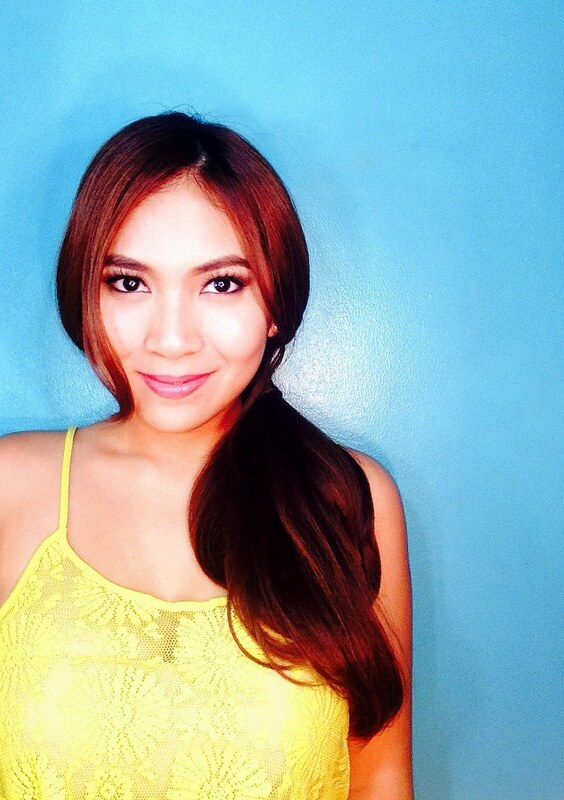 If you wanna give Linkage Meu a shot, you can head on over to Cedar Salon at 200 A Wilson St., San Juan! You may also follow Cedar Salon on FB (facebook.com/CedarSalon) or @CedarSalon on IG and Twitter!